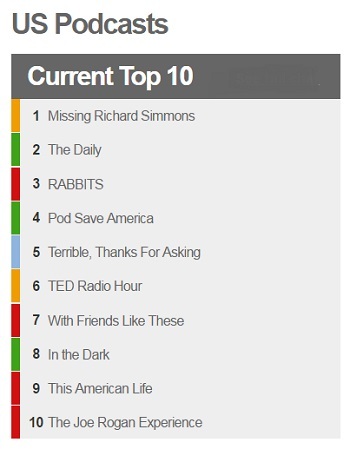 There are a number of interesting media strands in the latest episode of Missing Richard Simmons, a six-part weekly podcast about the withdrawal from public life of the fitness guru. The show is garnering a lot of positive media coverage and is currently number one on iTunes. 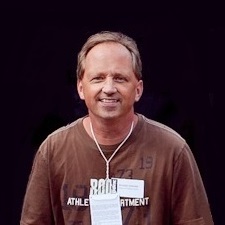 In Episode 3, host-producer Dan Taberski speaks with Mauro Oliveira, a Brazilian-born artist who wound up working as Simmons’ assistant and subsequently became a close friend. The unlikely pair connected when Simmons attended an art gallery show on La Brea Ave. in Los Angeles of Oliveira’s work and bought a number of pieces. 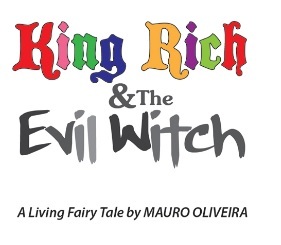 Taberski reminds that the 2015 eBook fairy tale King Rich and the Evil Witch is Oliveira’s veiled account of the relationship between Simmons and longtime housekeeper Teresa Reveles. He has his mother read several excerpts from the 52-page tome during the episode. For Episode 3, Taberski also spoke with former New York Daily News reporter Andy Martino, who traveled to L.A. this time last year to look into the Simmons seclusion. The resulting article, published March 12, 2016, led Simmons to give phone interviews with Entertainment Tonight and the Today show. Oliveira confesses to Taberski that the eBook, which took him a month to write, has not sold particularly well. One reason for that may be the price tag: a whopping $29.99.